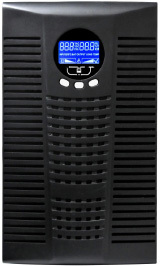 G-TEC is proud to introduce the latest DSP true on-line double conversion UPS for protecting small and medium size mission critical & IT load, so as to safeguard your valuable equipment and critical data from any abnormal power disturbances, such as surges, blackouts and lightning strikes. 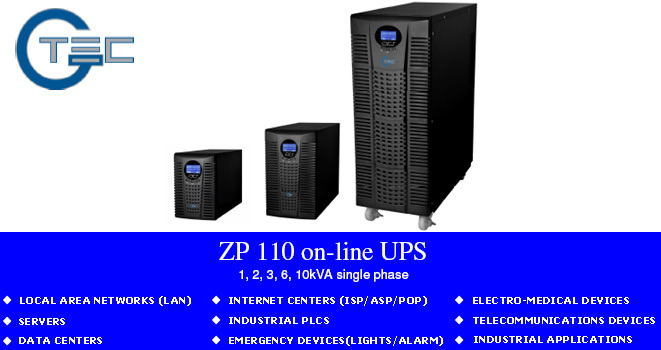 ZP110 is fully digital signaling processor (DSP) controlled to provide quality supply, high reliability and high performance UPS. Software support most OS for remote monitor and control UPS through LAN, warning notifications through broadcast and mobile phone, multi-shutdown PCs, and schedule UPS self-test. 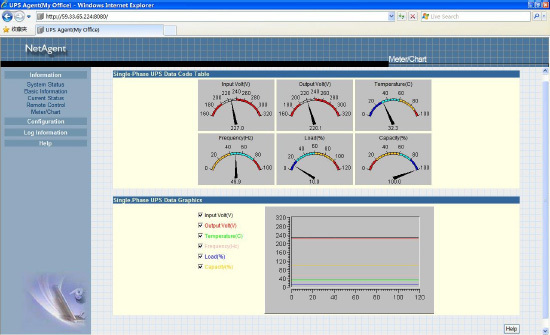 This unique software provides complete power protection for computer system during power failure. Wide input voltage range, could accommodate the worst voltage fluctuation.